Well this is the best solo work written by Jon Anderson in the nineties,moreover enriched by means of a remarkable orchestral arrangement, sometimes reminding us of the early Yes...if you don't regard of a disappointing number such as track #5-"The Kiss"- you can appreciate his taste for the classical music! !In fact here Jon wants to give up composing something poppy and try to be profound in his music exploration...I notice the same inspiration that partially characterized his collaboration with Vangelis and- obviously- the whole project alone is able to make us forget all the pop disappointing numbers concerning the majority of his solo works. "Alive & Well" is the best episode, but you could appreciate onother inspiring song like "Shaker Loops" or once again such a fine section of strings on "Candle Song"...ok at the end the present album won't be never an "avant-gardist" number (especially after the first glance from the music critics,which is often controversial), but for me it's well worth checking out anyway, as it's a clever and inspiring "puzzle" created by some intelligent musicians...very interesting!! "Change we must" as the man says, and to a certain extent he does. This album may not be earth shatteringly different (or indeed progressive! ), but it does represent something of a shift in Anderson's focus. The most notable aspect of that change is the dominant use of the London Chamber Orchestra throughout the album. In some ways, "Change we must" is a predecessor for the YesSymphonic tour and their "Magnification" album, with conventional rock instruments only being used on a handful of tracks here. The tracks are a mixture of Anderson solo compositions, and songs he wrote with Vangelis. Also included is one Yes song, "Hearts", originally from the 90125 album. The orchestrations throughout are absolutely superb, making for a refreshingly unique atmosphere and sound. The version here of "State of Independence" may well be the definitive recording of that song, capturing the full majesty of the piece. The album's highlight though is the stunning "Chagrall duet" where Anderson does indeed duet with Sandrine Piau. The fine melody of Anderson's composition is wonderfully brought out through the pureness of Piau's voice. There are inevitably some of Jon's more sentimental songs, such as the Jon and Vangelis composed "Candle song". Even these though benefit from sympathetic arrangements and some of Anderson's finest vocal work ever. A couple of tracks, "Run on, Jon" and "A view from the coppice" feature the piano playing of Gwendolyn Mok in place of Anderson's vocals. The spirited orchestration which accompanies them is reminiscent of some of Stackridge's work (especially "God speed the plough"). The final highlight is "Hurry home", a piece which builds from a soft start to a grand crescendo of Anderson plus choir. On "Under the sun", we find some impressive multi-part harmonies while the title track, which closes the album, sees the choir return for a sentimental but delightfully reflective piece. The climax of the track has some excellent lead guitar by Milton McDonald. The theme of the album is based on a book called "Change we must" written by Hawaiian spiritual teacher Nana Veary. The author took her inspiration from the music of nature, something Anderson perhaps brings out in his music here, if not lyrically. "Change we must" may not have the progressive depth of "Olias of Sunhillow", but it is surely his finest work since that stunning debut. Recommended. IMHO CHANGE WE MUST is Jon Anderson's finest non-Yes piece of work. The use of classical orchestration, piano, choir, and some truly inspiring lyrics---which I believe are very near to the cumulative life's work of Jon's spiritual journey---make the music of this CD feel very close to the essence that is Jon Anderson. And Jon's vocals, as cited before me, among his best, come across as being so relaxed and effortless, so natural and sincere that they must be representative of the core of Jon himself. The true specialness of this music comes through in a personal story. When I first purchased this disc I played it round the clock for days. The first non-school day i had working around my house with my pre-teen daughters around brought about two separate, unique, and totally spontaneous events. My eldest daughter (8 at the time) asked for the lyric booklet. She sat on the couch reading, asking questions about the meaning while proceeding to memorize "Hurry Home" and "Change We Must." We played that disc for months. She even took it to school hoping that the school music director would pick up one of the two pieces for performance at a school concert. (To this day my daughter is in the school's choir, oboist in the band, and after six years of piano lessons, has taught herself to be proficient on flute, guitar, and percussion). My other daughter is a dancer. Born dancing, she has channelled that energy and passion into ballet. During that same Saturday of playing CHANGE WE MUST on constant repeat, I kept wandering into the living room to find my 7 year old dancing. Every song had something to say to her, but, again, it was "Hurry Home" and "Change We Must" that drew her in the most. To this day this CD gets full attention, full smiles, and welcome invitation to be played through and through. 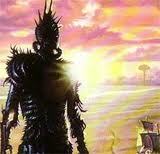 (It even led to the eventual introduction to and curiosity for Yes music---through "Hearts"). IMHO, next to GOING FOR THE ONE, Jon's vocals are unsurpassed. The emotionality of "State of Independence" with its moving crescendo as the the Opio Singers join in engages the listener and preps him/her for a very unusual journey---one that is often surprisingly devoid of Jon Anderson's performing presence (due to the substitution of pianist Gwendolyn Mok and orchestral arrangements, yet satisfies on so many levels. The orchestral arrangements and Minimalist influence work! The instrumental performances are stunning---especially Mok, Sandrine Piau, the Opio Choir, bassist Steve Pearce, and guitarist Milton McDonald (outstanding "Change We Must" solo). Again, IMHO, the re-workings of "Hearts" and all four of the Jon & Vangelis pieces far surpass the originals. Most importantly, this is, IMO, an essential example of what Progressive Rock is all about: experimentation, collaboration, with virtuosic performances, all laying testament to the rollercoaster ride that is the human journey. Though the CD does have lower points, still the lows exhibit progressive tendencies and creative courage to earn this CD four and a half stars; nearly a masterpiece; ages much better than many prog masterpieces. This is definitely one of Jon Anderson's best solo albums. It has many of the qualities we appreciate in Jon's work with Yes. Interesting, layered vocal work and complex arrangements stand out on this album. There are three Jon & Vangelis pieces, State of Independence, Candle Song, and Change We Must, arranged for orchestra, and all come out, to me, as far superior to the original works. Jon also takes John Adam's Shaker Loops, adds vocals, and makes the piece his own. Another highlight is the instrumental, Alive & Well, a playful modern classical piano piece, something I never would have expected from Jon Anderson. I might have given the album 5 stars, but for a few moments of shmaltz and an all too Yes-like rendition of Hearts. Released in 1994, this wonderful solo release by the voice of Yes presaged the orchestral release Magnification by his band some eight years later. Anderson decided to make a purely symphonic work (in the truest sense of the word) with The London Chamber Orchestra, combining new compositions with a mixture of Jon & Vangelis and Yes classics, all of which were completely reworked. The result is one of Anderson's finest works in an illustrious career, and one which I, for one, really wish had been taken out on the road and also developed far more in subsequent releases. 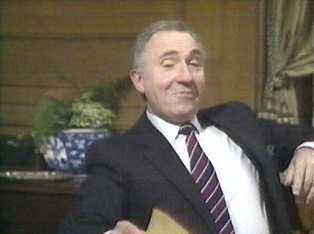 The recognisable "hits" are State Of Independence, Hearts, Candle Song, and the title track. Three of these were, of course, written and recorded with Vangelis, and, in addition, Anderson also includes a previously unreleased collaboration, The Kiss. All of which might lead some people to think that the remainder were somehow substandard. Well, not a bit of it. Shaker Loops, written by John Adams, is a rip roaring symphonic track, with exceptional percussion. Alive & Well, written with David Tolley (a key collaborator on this album) features the very talented Gwendolyn Mok on classical piano, and is a lovely piece, showing to the fore just what a fine symphonic composer Anderson really is, and demonstrating that symphonic music does not always have to be accompanied by a wall of sound in order to be effective and enjoyable (at this stage, fans of death metal and extreme prog metal might realise that this album probably is not one for them!). Chagell Duet is about the most perfect musical accompaniment to a lazy, sleepy evening, and features at its core a lovely vocal performance (in French) by Sandrine Piau. That Anderson is capable of matching this operatic wonder in spades is testament to his own skills as a vocalist. A lovely track, this is a true highlight of the album, and one to play to your loved one over and again. Run On, Jon features Mok again on piano accompanied by the orchestra, and is a nice track, although having the feel of filler written all over it, which is a shame, because a longer track on this theme would have been far preferable. View From The Coppice is of a similar vein, with the same participants, and at this stage, you know that an entire symphony or opera written by Anderson with these players would be a sheer wonder. These pieces of music are especially recommended for readers who appreciate very good classical music, and, of course, its essential link with symphonic rock. Hurry Home is the longest track on the album, clocking in at just short of seven minutes long. It is more of a "traditional" Anderson song, stripped down to bare essentials, and is a love song encompassing his new wife Jane and the planet as a whole (never accuse Anderson of not being wide-ranging in his scope!). The orchestra sound wonderful backing a soaring voice, and you do recognise in the beautiful oboe some of the themes he would develop further in Toltec. Under The Sun is quite similar in this theme, the fusion of new age musically and lyrically that abound in Anderson's solo career. It is pleasant, but doesn't hold together as well as much of the rest of the album. It is almost as if he is trying to pack in a little bit too much in the time available. Having said that, his voice is wonderful when set against the orchestra at full cry. So, to those "hits". I hope that I have described this album as being far more than the sum of these. Having said that, these tracks are a joy. State of Independence is, if anything, far better than the original track from Friends of Mr Cairo, the orchestra giving it a far more bold and expansive feel. Anderson sings quite marvellously. Hearts is, perhaps, the biggest surprise. This track was a clear highlight of 90125, the first Yes album made with Trevor Rabin and the returning Tony Kaye. The original was considered as the most "proggy" on that fine album, but, if anything, this version brings it out even better. Smooth where the original could be slightly shrill, everything about it has been taken down a notch or two in its arrangement and performance, and doesn't suffer in the slightest - in fact, the chorus where The "Opio Singers" (Opio being the Foundation formed by Anderson) join him enhances and progresses the original. It is the most vocal of the tracks on the album, and the orchestra are deliberately understated. The track, therefore, becomes what Anderson possibly originally wanted - a vehicle for vocal harmony with subtle backing. Candle Song is more like the original Jon & Vangelis composition. Quite lovely without being essential, it simply replaces Vangelis' keys with orchestra. Anderson, though, rarely has sounded better. The best, though, is absolutely saved for last. Change We Must appeared on a reissued version of Page Of Life in the USA some three years after this album. Vangelis was not, it is rumoured, best happy. This, therefore, is the first studio version of this track, and I regard it as being classic, essential Anderson. He has been accused many times, with good reason as well, of smothering his "hippy" world view in impenetrable lyrics, incomprehensible to all barring his immediate family and those on chemical assistance. Here, though, all is clear. His love of life, the planet, and a massively optimistic world view that we are capable of changing for the better is brought to life clearly and sharply. It is all, by the way, based upon the writings of Nana Veary, the "Devine Mother" you will have seen Anderson dedicate himself to on many latter Yes albums. The lyrics, vocals, orchestration are simply incredible. Anderson takes himself to a plane that most vocalists simply dream of, another dimension. The listener is simply swept away by the beauty of it all. This, to me, is, alongside the wondrous Turn Of The Century, the greatest track that Anderson has been responsible for, it is that good, and I will never tire of listening to it. This is not a masterpiece, although, in its own little way, it comes very close to it. What it is is the sound of a vocalist, songwriter, producer, and arranger at the very top of his game. If you own no other Anderson solo record, then I would recommend this one, and I include the masterpiece Olias amongst this. Four stars. A pleasure from start to finish, and one that is highly recommended to all who can see and hear beyond a mere wall of noise in their music. In the early 90s with a new job, a new mortgage and a new baby I have missed a number of albums that I'm still discovering. "Change We Must" is a song present on "Page of Life" that's one of the last vinyls that I have bought and the last album of the duo. Having seen in a shop that the album was including songs like State of Independence, Hearts and Hurry Home, I thought to a compilation and didn't give it any attention. Now I know that I was missing one of the best things ever released by Jon Anderson, very different from his masterpiece Olias of Sunhillow but comparable to it in terms of quality. Some songs are effectively not originals, but the fact that they are arranged and executed by an orchestra gives them an added value. The orchestral arrangements are reminding of the orchestral parts of "ELP Works", that's an underrated album that I like very much, and starting this album with this version of State of Independence gives already the idea of a masterpiece. There are some songs that I think were previously unreleased. "The Kiss" is signed as Jon and Vangelis, but I don't remember to have heard this song previously as well as Candle Song, still from the duo. "Chagall Duet", featuring the vocals of some Sandrine Piau is an interesting and unusual (for Jon) song, only "Hearts" is for me too similar to the original and not at the same level, probably because I'm a fan of 90125. So this is an excellent album orchestrated in an Aaron Copland style and with an excellent vocal performance of Jon. Also the songs composed by Jon alone, like "Under The Sun" show the good shape of Jon whose verve was apparently gone lost with "Deseo". 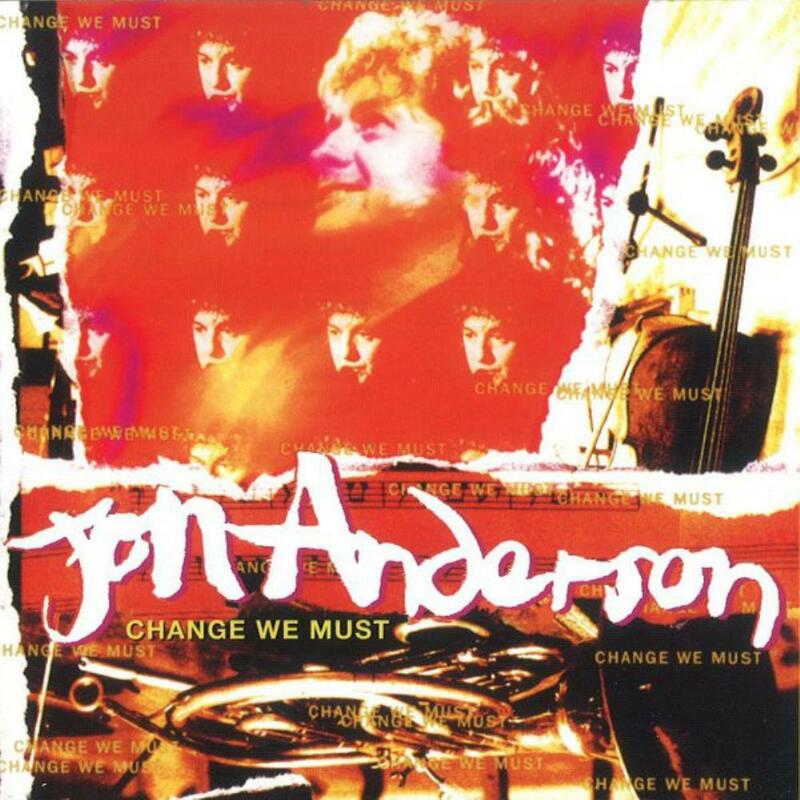 Post a review of JON ANDERSON "Change We Must"